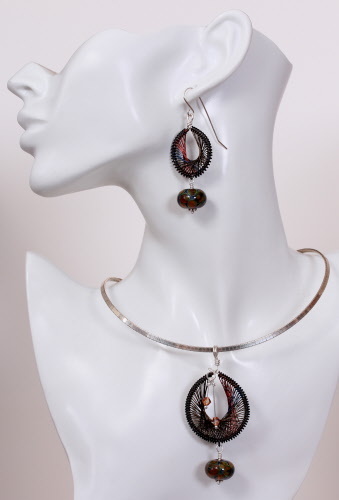 Inspired by the intricate thread earrings originally from Peru since the 1960's. 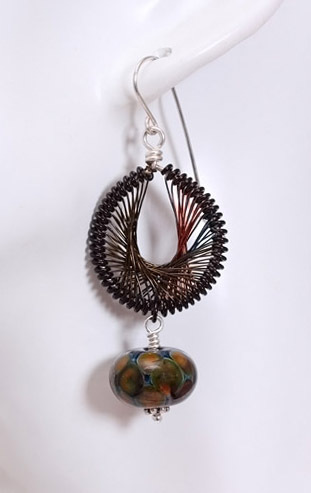 Superfine colored wire in burnt brown, blue and vintage bronze used for the 'threading' makes these pieces stand up well to wear and tear vs similar pieces actually made with thread. 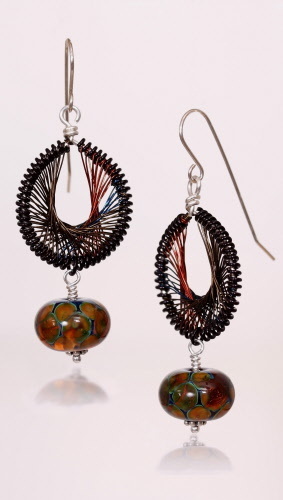 Shades of amber, with accents of blue and green, can be seen in these individually, handmade, lampwork glass beads. Argentium sterling wire is also used. Pendant measures 3⅛ inches in length, 1½ inches wide and weighs 0.5 oz. 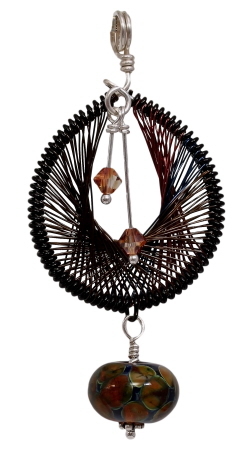 Swarovski crystals in crystal copper further accent this pendant. A sterling silver chain would be an additional purchase. Earrings measure 2¾ inches from top of earwire to bottom of dangle and weigh 0.3 oz each. Earwire hand formed.